Karachi Safari Park is home to around 470 animals and serves as a main attraction for all those people who visit Karachi from around the country. Shehri-CBE has been working to save this beautiful expanse from the encraochers who wish to use the land for building and selling purposes. Residents of Karachi are fortunate enough to enjoy such a large green area in a city which has a dearth of such ecofriendly locations. 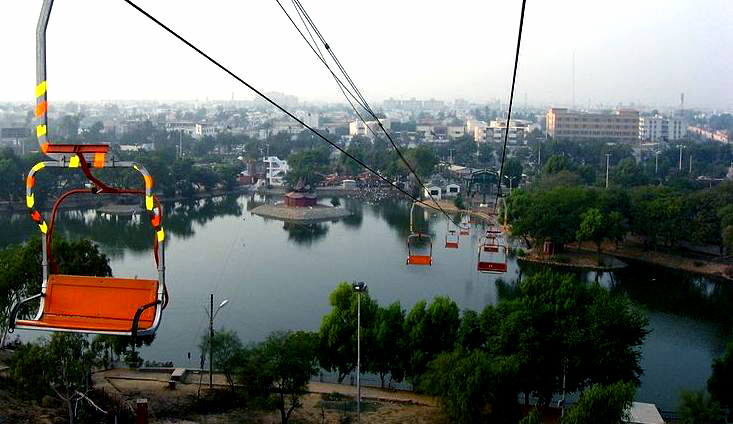 The park flaunts a Chair lift, Animal Enclosure, Swan lake and an Adventure Park for the visitors. Karachi Municipal Corporation is incharge of the administration of this facility. Unfortunately, lack of funds have deprived the facility of any other big animals such as Giraffes, hippopotamuses, and Rhinos besides the pair of Elephants that were imported from Tanzania in 2009. This depravity also accounts for lack of maintenance of the park. It is alleged that the park is misadministered resulting in deaths of animals and lack of cleanliness. Let's save Safari Park from encroachers and lax management!